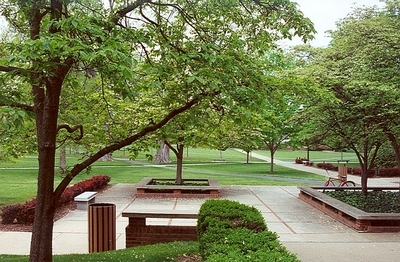 "Various trees in the vicinity of the Kline Campus Center, late 1990’s." by L. Michael Hill Ph.D. Various trees in the vicinity of the Kline Campus Center, late 1990’s. Here is an exquisite pastoral setting formed by the various trees in the vicinity of the Kline Campus Center, late 1990’s.